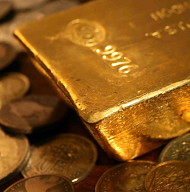 GOLD BULLION popped to a 2-session high near $1285 per ounce in early London trade Tuesday before easing back as world stock markets fell and 'safe haven' government bond prices rose. The British gold bullion price in Pounds per ounce held near the lowest since Christmas at £993 as a variety of UK lawmakers put forward a variety of proposals for resolving Parliament's Brexit paralysis after Prime Minister Theresa May's historic defeat last week. Following yesterday's news of China's slowest economic growth since 1990, Chinese gold prices today erased 2019's gains to date, dropping back to ¥281 per gram after hitting ¥288 at the start of January. 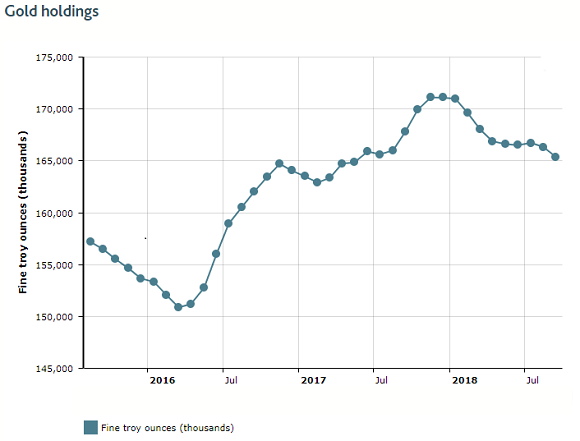 With "Chinese demand prevalent [only] in pockets", according to Tuesday's Asian trading note from Swiss refiners and finance group MKS Pamp, gold prices are "gently drifting on very light volumes." A slump in China, plus the risk of a "no deal Brexit", are the biggest global economic risks for 2019 says the Washington-based International Monetary Fund in its new outlook. The IMF's new forecasts also say that Venezuela – where ruling socialist Nicolás Maduro apparently defeated an attempted army coup overnight – will this year see GDP shrink by 18% as inflation runs above 1.3 million per cent per year. Sitting on the world's largest proven reserves of crude oil, Venezuela has seen its oil output more than halve over the 20 years since the late Hugo Chavez became president. "The army must choose between narco-tyrrany or democracy," says Venezuela's opposition leader Antonio Ledezma of the Fearless People's Alliance, urging the military to support and not attack the "millions" of people he expects to join anti-Maduro protest tomorrow. Venezuela's national holdings of gold bullion stored at the Bank of England in London "have jumped" says the Reuters news agency, apparently doubling to some 31 tonnes worth $1.3bn after it repaid a long outstanding deal with former-bullion bank Deutsche Bank. Heavily sanctioned for its violent suppression of opposition activists, as well as the personal theft of state assets, Maduro's government has so far failed to get the return what bullion it still keeps at the Bank of England after the famous "repatriation" under Chavez in 2011. Away from the UK's Brexit impasse on Monday, lawmakers on the Public Accounts Committee asked the Bank of England if it should move the gold it holds for custodial clients from below its historic Threadneedle Street building so that it can instead safely lease out space – for instance, to UK pub chain Wetherspoons – "to maximize income." Center of the London bullion market – itself heart of the world's wholesale gold trade – the Bank of England holds the largest single hoard of gold bars outside the New York Federal Reserve. 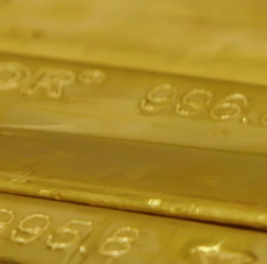 The word "gold" appears once in the Bank's 2017-18 Annual Report, with no breakdown of its income or costs from bullion custody. 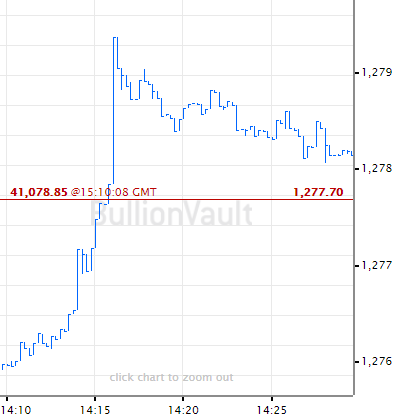 Bullion priced in the Euro meantime edged above €1130 again on Tuesday as the ZEW survey showed business sentiment across the 19-nation single currency union holding near its gloomiest since the depths of the region's debt crisis in 2012.